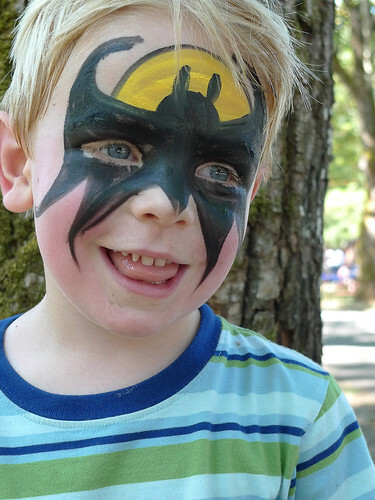 Two weeks ago, I took Alex to our work picnic at Vasa Park. They had lots of great activities for kids. Alex loved jumping in one of those big inflatable bounce-houses. The one they had at the picnic looked like a castle and came complete with an inflatable slide. Alex probably jumped in there for an hour. This is Alex eating his afternoon snack at World Wrapps. 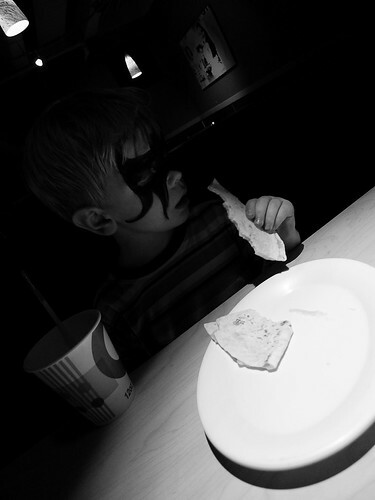 I love how you can just see him lurking in the shadows, waiting to deliver his brand of justice to evildoers and enjoying a tasty quesadilla while he’s at it. 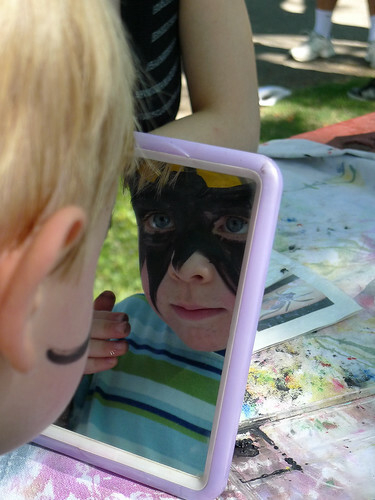 Of course, the problem with face painting on this scale is cleaning up. We had a particularly tough time cleaning Alex’s eyes. 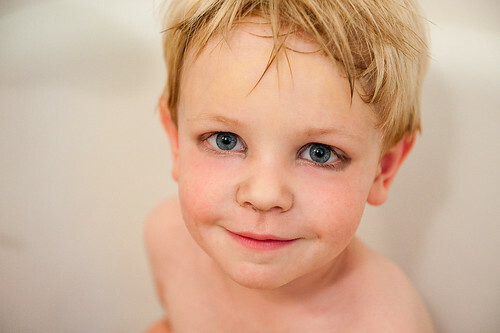 When we asked him to close his eyes so we could wipe them with a washcloth, he squinched his eyes shut really hard, the way only three-year-olds can do. We had the hardest time getting the black paint out from the crevices of his eyelids. It made him look like he was wearing mascara. Next year, I think I’ll ask for just a little octopus on his face!